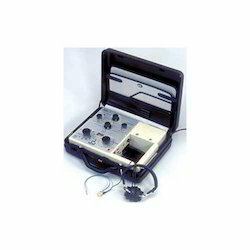 Manufacturer of a wide range of products which include group hearing aid system, behind the ear hearing aids, speech trainer, inside the ear, digital audiometer and pocket type. Our company is one of the renowned names in industry, engaged in manufacturing and supplying a huge gamut of Group Hearing Aid System. These aids are used in deaf schools. 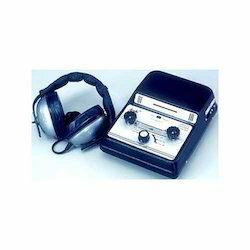 With Teacher Unit, a Headphone and Pupil Unit, these aids are available at most reasonable rates. In addition to this, these aids have adjustable AGC, volume and tone. Our range is known for its easier installation, effective performance and durability. With the help of our skilled and adroit professionals, we are engaged in manufacturing and supplying a huge gamut of Behind the Ear. These hearing aids are easy to use and light weight. Moreover, these can be easily fitted behind the ears. We have designed and developed our qualitative range of these aids under the astute guidance and strict control of the industry heads, who have got years of experience and knowledge in their particular domains. We are counted amongst the eminent names in industry, engaged in manufacturing and supplying Speech Trainer/Auditory Trainers. 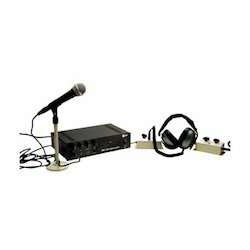 Our range of these systems is equipped with the High pass & low pass filters mams/battery operated (dry cell) medium type, built in and external microphone, Voice indicator display and Individual left & right volume control 0 to 100 db attenuator in 10db steps. With edvaned features, these systems are offered in different models and designs. 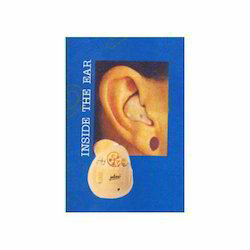 With years of experience, we are engaged in manufacturing and supplying an exclusive range of Inside the Ear. By adopting the advanced technology methodologies we have developed our exclusive range in adherence with the international quality standards. These aids are known for their utmost quality, exceptional attributes, effective performance, skin-friendly nature and many other unique features. We offer these items at reasonable rates in market. 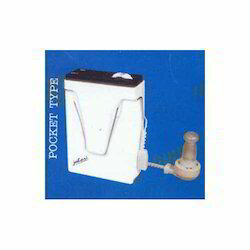 Our in-depth industry experience enables us to manufacture and supply a large range of Pocket Type. 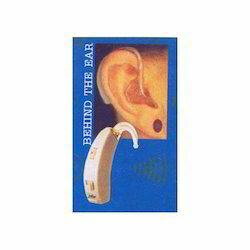 These hearing aids are highly effective and allow the people to hear properly. We have adopted advanced technology methodologies in making these aids that improve their strength and provide them longer serving life. Apart from this, our comprehensive range of these aids is quality checked and analyzed by our quality experts. 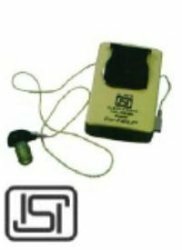 Looking for Hearing Aid System ?